Circuit: ELECTRIC FIELD DISTURBANCE MONITORFront End + Power Supply Circuits __ Circuit s designed by David A. Johnson, P.E. 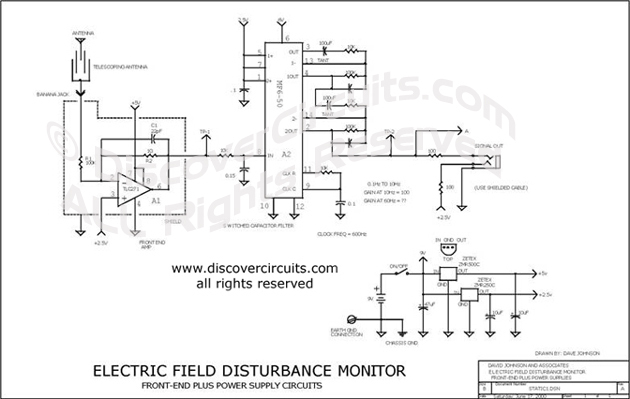 This schematic is the power supply and front-end sections of the field monitor that is discussed in more detail at Electric Field Disturbance Monitor. (this link is off-site) The system can detect human and animal motion by the electric fields they disturb.